Heat the oil in wok or large deep skillet on medium-high heat. Add onion and carrots; stir fry 2 minutes. 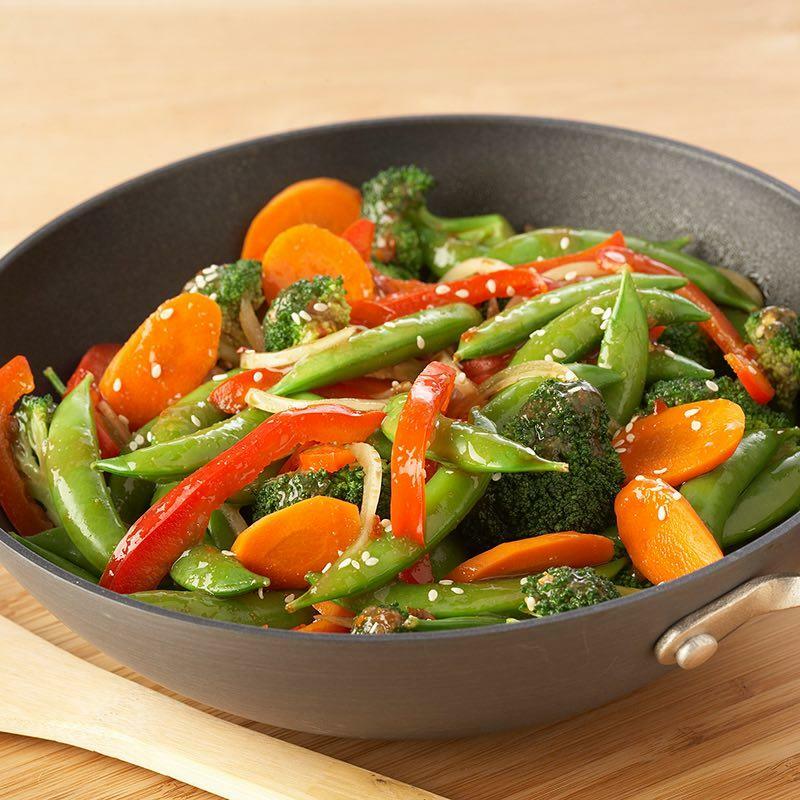 Add remaining vegetables; stir fry 5 to 7 minutes or until vegetables are tender-crisp. Add soy sauce, garlic powder and ginger; stir-fry until well blended. Sprinkle with sesame seed. Serve over cooked rice, if desired.